Rooted in the concept of a "neo-tribal" approach; reducing electronics to the emotional, hypnotic rhythm core, James Dean Brown founded Hypnobeat in 1983. 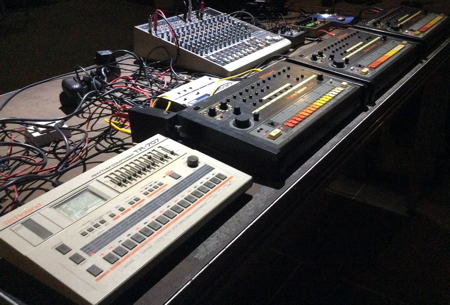 Affected by the energy and the emotional impact of polyrhythms, their live sets turned out to become machine improvisations centered around the inimitable sound of the Roland TR-808 plus a wide range of analog gear including up to six synchronized rhythm machines. Active contributors to the tape scene of the 80’s, two retrospective Hypnobeat vinyl albums are planned for release in 2014 on Serendip and Dark Entries. In 2012 Hypnobeat retransformed from its successor Narcotic Syntax (Perlon) with an exclusive live solo performance of James Dean Brown in Paris. Now 2013 sees the exciting new evolution of Hypnobeat with Helena Hauff joining the project. Available for live shows consisting of 1 x TR-707 + 3 x TR-808 (+ 2x TB-303) + an array of effects, Hypnobeat is resurrected. Affected by the energy and the emotional impact of polyrhythms, James Dean Brown founded Hypnobeat in 1983. His goal was to push the boundaries of electronic music with a "neo-tribal" approach. 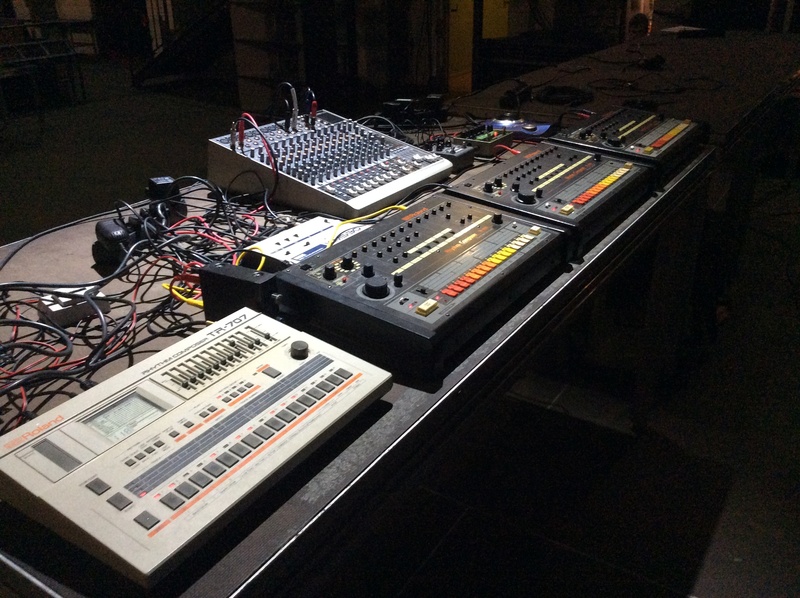 Infected with the inimitable sound of the Roland TR-808, JDB and companions utilised a wide range of analog gear in the studio and on stage – including an array of up to six synchronized rhythm machines which incorporated three 808s. Additionally, one of the cheapest available sequencers back then, the TB-303, which was going to epitomise the Acid movement later, provided a certain Proto-Acid flavour to their pioneering sound. Accordingly, it doesn't sound presumptuous to claim that Hypnobeat anticipated the mindset of contemporary club culture by featuring sophisticated prototype Techno and classic Electro rhythms from 1984 onwards. There is a Walkman recording and a lo-fi seven minutes videoclip of their legendary initial live performance at GEMINOX festival, Frankfurt University, June 15th, 1984. Hypnobeat ceased to exist in 1994 just to resurrect and transform into Narcotic Syntax (Perlon) a year later. Their 2nd, mind-blowing live performance at Berghain, Berlin on Jan 30th in the course of CTM festival "killed the 6.1 system" and "saved the night". Rumour has it that seismic activities have been recorded. 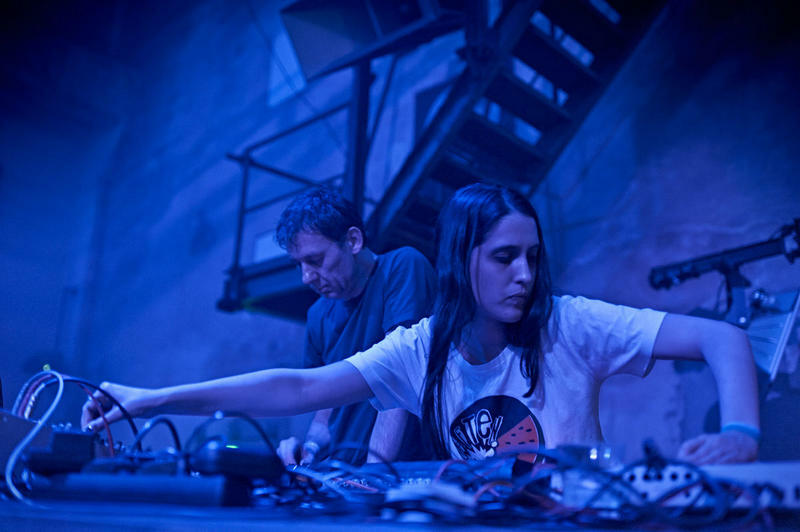 Incessantly feeding their hungry machines, the duo's stage performance of explosive nature is completely based on improvisation. 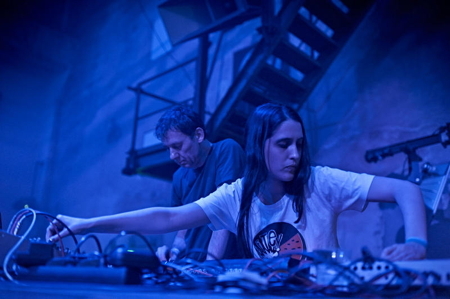 JDB and Helena Hauff program their abundance of rhythmic phrasings from scratch – by exhausting the power of an untamed Roland horde which is truly unique on stage. Here’s the equation: 1x TR-707 + 3x TR-808 (+ 2x TB-303) + an array of effects = provocative percussion, unbridled passion, ritual ecstasy, hypnodelic temptation, psycho-exotic magic, and a quantum of danger under a crypto-bohemian approach. JDB, living/working in Berlin and Frankfurt, is deeply rooted in the adventuresome Perlon family and a DJ regular in the rotating line-up of their monthly, infamous "Get Perlonized" parties at Panorama Bar since 2001. Producing and DJing for more than 20 years, JDB is a story-teller, crossing a wide field of genres. His versatile, musical roller coaster rides are strictly passionate, of timeless quality and designed for gaining "The Emotional Maximum". They follow an approach of serious deepness and psychedelia; "minimalism" means reduction of conformity here. Evolving from the project Hypnobeat, JDB founded Narcotic Syntax in 1995, a band he re-boosted together with Yapacc in 2003 (releases on Perlon, WIR, Mothership). HH is a DJ and producer from Hamburg, Germany, where she runs a club night called "Birds and Other Instruments" at the notorious Golden Pudel Club. Her sound as a DJ can't be nailed down as she cuts between genres with ease. Dirty Acid, Chicago, classical Electro and Wave mixed in an obsessive way, as you can hear on the Blackest Ever Black's sub label Krokodilo Tapes, where she released a limited edition mix tape, the "Obscure Object". As a producer this obsessive nature comes across in the intensity of her music. Helena’s breathtaking debut EP "Actio Reactio" has just been released on Actress's Werkdiscs imprint as well as a collaboration with F#X as Black Sites on PAN.